A leaky or running toilet can be quite an annoyance, but did you know that it can also lead to an astronomically high water bill? At Plumbing and Drains Solutions, the best toilet installation and repair company in San Diego, we can help you get to the source of any problems with your toilets and resolve them quickly to prevent further damage to your plumbing system. Our friendly and professional plumbers are committed to going the extra mile for our customers on general plumbing jobs big and small, including the repair and replacement of toilets. Schedule an appointment with a skilled plumber! Call Plumbing and Drains Solutions today at (619) 345-5550. We help customers throughout San Diego. Is your toilet constantly running or leaking around the base? Instead of ignoring these type of symptoms or trying to resolve the problem on your own, it is important that you call a professional. We can help find the source of the problem, whether you need a quick repair or a complete replacement. Toilets are an important part of a home’s plumbing system; in fact, it is one of the primary ways that waste is removed from the home. So what happens if your toilet suddenly stops working? Well, you fix it of course. 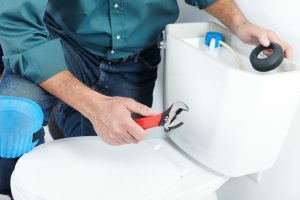 The problem is, for many, fixing the toilet themselves can be a bit of a chore; a chore bordering on an adventure, and for those who are not familiar with the ins and outs of home plumbing, replacing things like angle stops and risers may be a bit out of reach. At Plumbing and Drains Solutions we not only have all the parts that you need in order to make sure that your toilet is working properly, but we also have the expert technicians who will take care of all of your installation and repair needs without you having to learn a new skill and/or get your hands dirty! We can replace or install your risers so that the level of water in your toilet is correct (nothing like needing to flush and not having enough water in the tank to do so!) or install an angle stop not just for your toilet, but for any other plumbing fixture in your house, for angle stops are quite important, especially when it comes to repairing or replacing your fixtures. An angle stop is used to isolate the flow of water from any plumbing fixtures; toilets, sinks with faucets, showers, all of them need to have angle stops so that in case of an emergency you can turn off the water to the fixture and prevent any possible plumbing emergencies. One call to Plumbing and Drains Solutions and you can rest assured that all of your stops and risers are installed correctly and will work efficiently with the fixtures that you have. Not only will you get professional installation, you will get our commitment to quality in that each of our technicians has been selected for their knowledge and expertise and will not only be able to do the job, but will be able to answer any plumbing questions that you may have about what is being done. 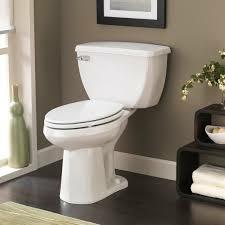 If your toilet is old and outdated, it can cause constant problems. Replacing your toilet is an affordable service and a worthwhile investment, especially if you have paid for repairs in the past. If you would prefer to have us install a new toilet, we can help you select an efficient model that can help you save on your water bills. We know that plumbing problems can be stressful, especially those involving broken toilets or those that are not functioning properly. We are committed to providing you with old-fashioned values and the courteous level of service you deserve. Our team of plumbers at the best toilet installation plumbing company in San Diego is dedicated to treating you and your home with the utmost respect while resolving your issues. Also, don’t forget, we have an emergency plumbing team standing by 24 hours a day 7 days a week for all of your emergency plumbing concerns. Call us today for a plumbing service estimate from San Diego’s top rated plumbers. We are available 24/7 to handle plumbing emergencies, such as toilet repairs, in San Diego. Call us (619) 345-5550 anytime!